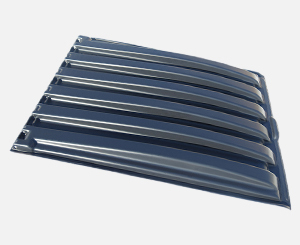 Poly Dumpster Lids Built to Last | Robmar Plastics Inc. 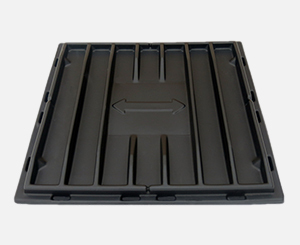 When you’ve been in the business for as long as we have, you start to pick up a lot of tricks: like how to make consistent strategic improvements to the design and functionality of our dumpster lid every step of the way. 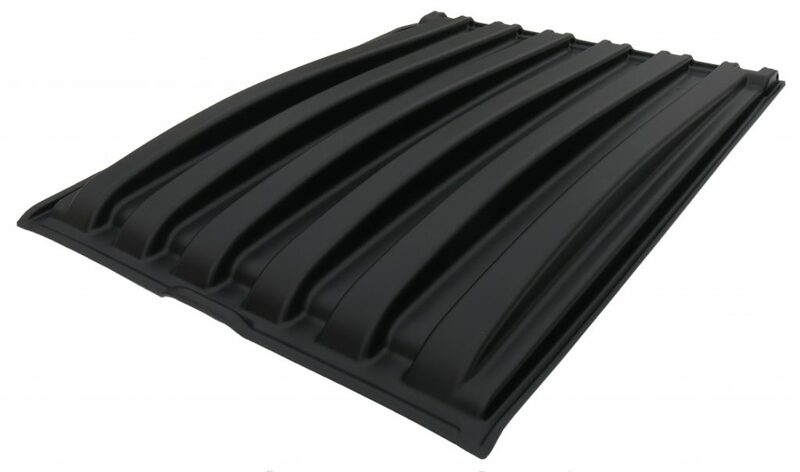 We’ve carefully selected the toughest material, combined with our carefully planned, proprietary molds to produce one of the strongest options on the market. Many of Robmar’s competitors sell products with only 3 or 4 hinge bosses. While that may be the fast and easy way to produce them, it’s not the most durable design. Front-load dumpster covers take a lot of abuse from the end user. With only 3 or 4 hinge bosses, the hinge is bound to break sooner or later; meaning that the product is now useless and will need to be replaced. 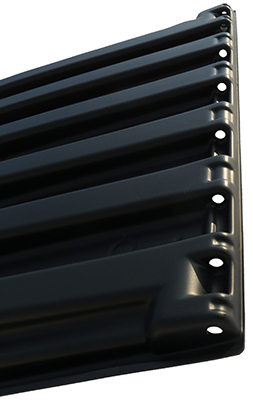 Robmar Plastics’ front loads are manufactured with a continuous hinge for maximum strength to prevent ‘ovaling’. They’re built to take real-world abuse. It’s not uncommon to see black plastic that has taken on a gray, white, chalky color. The sun can quickly take its toll on competitor’s products. If you spent your money on a nice black, then you want it to stay that color. Robmar adds a special component to the material that acts as a UV Stabilizer, making them hold their original color for an extended period of time. Most orders that are placed by noon (12:00pm EST) will ship out on the same day! We shop our list of trusted carriers to find the best rate for your unique order. We provide tracking information for all applicable orders. The are savings available for almost all types of orders. 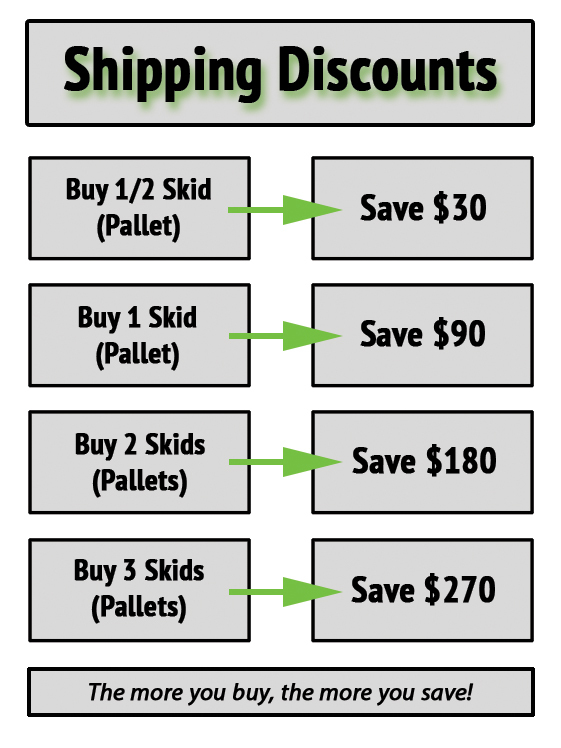 Check out the discount chart to see how much you’ll save on your next order! We stand behind the quality of our products. 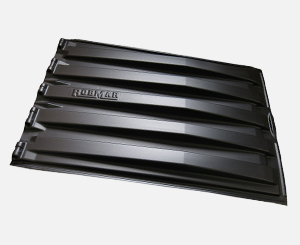 To see the details of the Robmar Plastics Inc Warranty, just click here.